Longrow Red. Let’s face facts: it’s a pointless whisky to review. It could be the most venomous, nauseating, loathsome, mephitic stream of still-spewed, barrel-screwed pish and you’d still buy it. It could be under the joint curse of Tutankhamun, Tecumseh and Maleficent – guaranteed to turn you into a Glastonbury portaloo with a single sniff – and you’d still buy it. Cicero’s ghost could pop out of a Campbeltown warehouse in a puff of peatsmoke and hubris, implore you with all his oratory not to buy Longrow Red, and you’d still buy it. Because it’s Longrow Red. At least you would buy it if you could. But, being Longrow Red, it sold out before retailers had time to clear space on the shelves. So a bottle will cost you whatever some hand-rubbing online flipper cares to charge. And sadly you’ll probably pay it. Because it’s Longrow Red. All of which leaves me scribing up a whisky not only seen as one of the industry’s most sanctified of bovines, but already unfindable if you want to spend sensible money. Handy stuff. But I’d better write something before Mark and Jason haul out their address books or comb Twitter for a new cantankerous millennial. 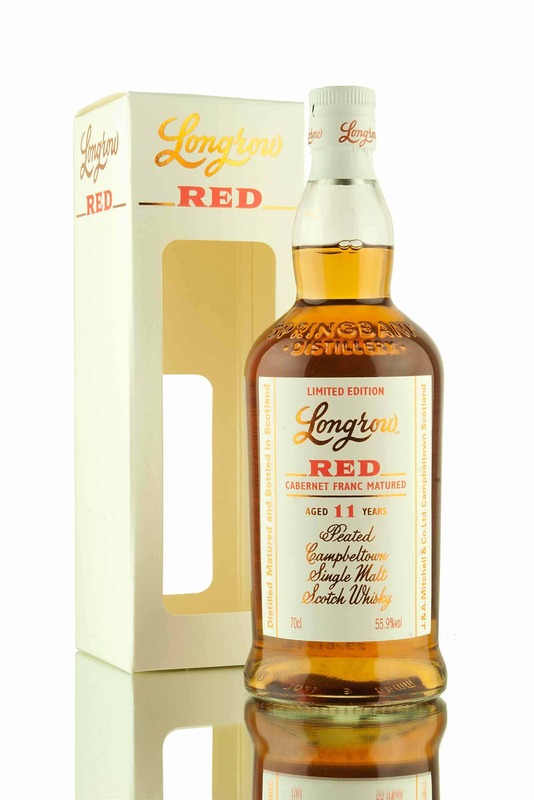 So let’s set the “Longrow” aside for a moment, and consider the “Red”. As if set to prove the point, the powers that be decided that for 2018, Cabernet Franc would be the way forward. 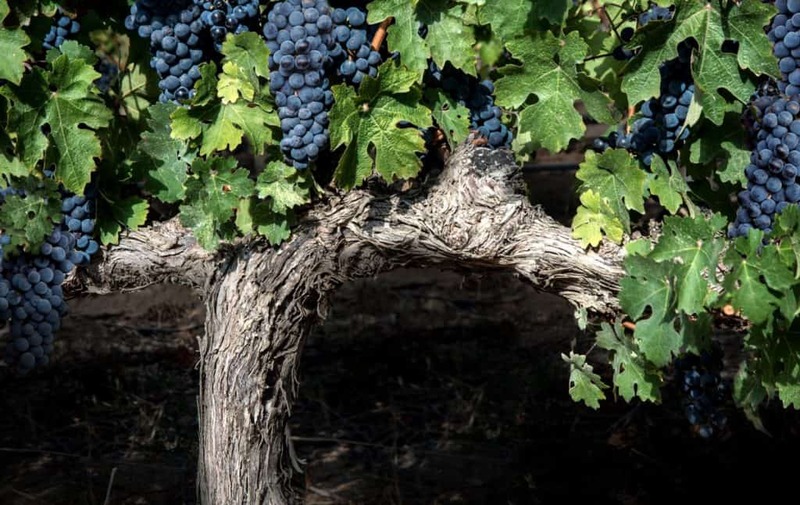 Cabernet Franc is almost never the way forward. “I’ve come never to expect greatness from Cab Franc” quips Paul Giamatti’s character in the unimpeachable Sideways. And he is right. It’s the cringing, green-flecked, wet-nosed, snivelly parent of Cabernet Sauvignon. They make some straight Cab Franc in the Loire, where it’s largely alright, but “alright” is about the summit of this grape’s ambition. It’s also “alright” in several New World countries where winemakers strain and claw for a new “next big thing”. Peak “alrightness” is debatably hit by Argentina. But their Malbec’s still miles better. The exception that proves the rule is Château Cheval Blanc, which Sideways uses brilliantly as an ironic little in-joke. But even then it’s backed up by Merlot. And I can’t afford it in any case, and nor – if you’re not Croesus – can you. The Cab Franc casks for 2018’s Longrow Red were sourced from the same winery that provided last year’s Malbec edition, namely the De Toren Private Cellar in South Africa’s superb Stellenbosch region. Which brings me to the point of reviewing a Longrow Red at all. I was chewing the digital fat with Mark the other week – something or other about terroir, or England’s hopelessness at the breakdown – and, apropos of not terribly much, Longrow Red came up. Challenge self-extended, so here goes. Strictly speaking De Toren don’t make a straight Cab Franc. Their house style is the “Bordeaux blend”, which is pretty common in South Africa. So instead we’re examining their Fusion V. It’s about 19% Cabernet Franc, depending on vintage – that’s actually fairly high – and it costs 450 Rand per bottle, which is about 27 of Her Majesty’s finest. 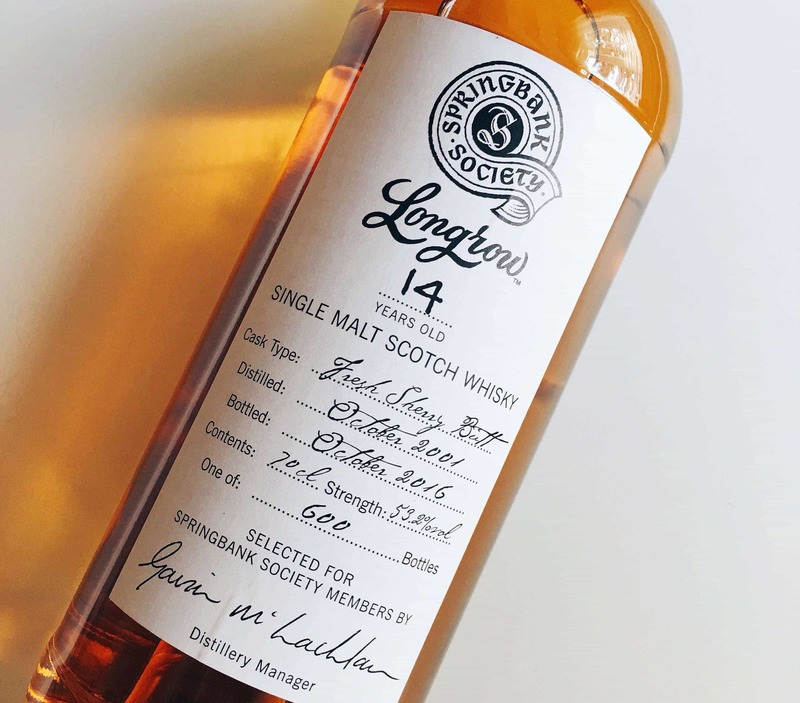 First up, links to what Springbank say about the Longrow Red, and what De Toren say about the Fusion V.
On the whole, not much to live on the difference. I like that the wine tells you the sugar, pH and acidity. And I like that it tells you the climate in which the barrels do their time. But overall they’re both fairly straightforward tasting notes with a little bit of info on the casks. So let’s dig a little deeper into processes and provenance. I can tell you that Longrow is wholly floor-malted at Springbank distillery. That the barley is “heavily peated” (about 50ppm, though the website doesn’t say so). Fermentation is a commendably long 110 hours, before double distillation. It’s matured onsite (not the case for a lot of whiskies, though the marketing won’t always mention that) before being bottled at cask strength (55.9%), without chill-filtration or artificial colouring. All jolly good, and rather more than you can glean about a lot of whisky. But let’s look at the wine. I can give you a complete breakdown of the grape varieties used, and take you to the vineyards in which each grape is grown. There’s a map on the website; heck, you can google streetview if you want, and stroll on your screen through the vines themselves. They give you the science for ascertaining grape sugar ripeness, and the soil types on which the vines are planted. They talk about bespoke sizes of fermentation vessels; designed to maximise skin to juice contact for optimum extraction of phenols and colour. The whole winery is gravity fed – the first of its kind in South Africa – meaning the grapes undergo a gentler process to achieve a purer flavour of wine. Again, it’s all backed up by science. And I can tell you about how long it spends in casks, how big the casks were, what sort of oak they were made of, and how often (if at all) they’d been used before. I can tell you what the vintage was like; whether the sun shone, whether it rained, whether larcenous frost stole half the harvest in a night. And what was different the year before, and the year before that. I can tell you how this particular vineyard – this tiny spot of land – was affected in a way that no other vineyard was affected – even if it sat just next door. And why that makes a difference to what you can taste. I know what some of you may already be scoffing. “It’s wine and whisky. It’s apples and oranges. Wine achieves greatness in the vineyard; whisky in the distillery.” And sure – plenty of great whiskies are made by folk who place no importance whatsoever on the barley. But that doesn’t mean that those whiskies couldn’t be better still. It doesn’t mean that my interest shouldn’t start in the barley field. I know nothing whatsoever about the barley – the ingredient – of this Longrow Red. The “Local Barley” releases from Springbank tell us farms and varieties, but these limited bottlings vanish even faster than the Red, and still leave one wanting to dig deeper into those details. What’s more, I’m not told the importance of the processes. Why does the long fermentation matter? What does it do to drive flavour, to enhance? Why does it result in a more interesting, more characterful whisky than a sprint fermentation of a couple of days? What yeast did they use, and why pick it over any other from the world’s unnumbered yeast-strain hordes? Those barrels – the bourbon and the Cabernet Franc. Why were they picked? First fill or second fill? What sort of oak were they before other liquids were tipped into them? Fine, the bourbon barrels were probably American Quercus Alba (though, contrary to popular belief, the only stipulation for bourbon’s casks is that they must be new. The oak itself could come from Sherwood Forest or Kim Jong Un’s back garden as far as the law’s concerned). 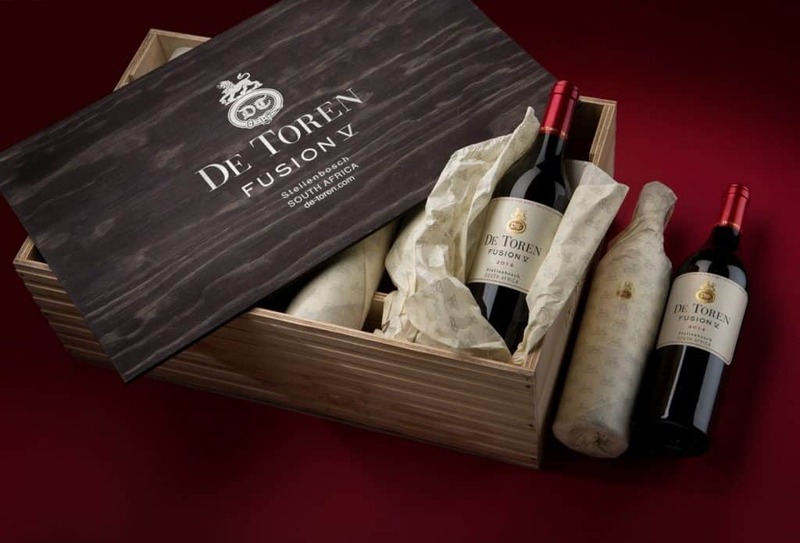 The Cabernet Franc casks were French Oak – we know this thanks to De Toren’s website. And they are probably first fill. But why does that matter? Single malt whisky is the world’s most complex spirit drink. It is, arguably, the world’s most complex drink full stop. It begins as a grain of barley in a field and ends, years later, as brown distilled alcohol; a bewildering orchestra of flavours from opulent tropical fruits to crunchy green apples, luscious peaches and unctuous, dark raisins. From wild, animal leather strops to dusky walnuts, cedar and cigar. Coalsmoke to iodine to bonfire-wood to hearth. Thick, fresh honey to lavender, pine, myrtle and wilted rose. All of these, and a thousand flavours more, are dictated by every grain, every process, every step, every decision. The journey each grain of barley makes to your glass is so much longer, so much more convoluted, than the road travelled by the grape. Yet I can buy an £8 bottle of bog-standard supermarket vino and give you more specific detail about it than I can about a ten grand Macallan. “This is our 15 year old. It’s matured in ex-sherry casks.” Apparently that’s enough. For £50+. Oh, you might be told that the distillery has worm tubs. Maybe they do floor malting to one degree or another. Maybe they have a first-fill only policy, maybe they peat to 25ppm. Maybe they’re the first legal distillery in Glen Sodoff since Bonny Prince Charlie was in nappies, and maybe their water comes from the Fountain of Youth. But these distilleries will usually tell you only about that one USP. They’ll hang their hat on it – other details barely merit an aside. Most fundamentally of all, they won’t answer the all-important question: why, why, why does that matter? Why were all those decisions made and – crucially – what’s in it for you, the consumer, as a result? Besides a two-line tasting note, a statement of age and ABV, a juiced-up price tag and bragging rights when a mate comes round who didn’t click “buy now” fast enough. Springbank is one of whisky’s Sacred Cows for a reason. They’re the “good guys”; the white hats; the doers of things properly. They are, as I’ve said before, my favourite distillery in the world. And they’ll tell you a damn sight more than most places will. But that’s the point. They’re the best, the top, the lodestar … and I still want more. More information, more aids to understanding, more knowledge, more satisfying of curiosity. And don’t get me started on most of the more-mainstream malts. Pick up a bottle from a supermarket aisle – any bottle – and check out the back label. The amount of copy you’ll read, compared to the number of facts contained within it, is staggering. “Established 18xx, best water, best barrels, best barley. Wood wood wood. Sherry oak from Jerez (well where the f*** else would it be from?)”. It’s a shroud of mumbo jumbo, non-specifics and flavour irrelevance, and it isn’t enough. Not in this age of information and provenance. And certainly not in this age of ever-inflating costs. But if you and I and other, louder, more influential voices don’t call out; keep calling out; keep shouting into the marketing maelstrom for more, things are never ever going to change. Enough of the logorrhoea. This Longrow Red 2018. 9 years in ex-bourbon, then 2 in the ex-Cab Franc. Into the glass. On the nose: Smoke and summer fruits in tandem. Raspberries riding beside waxed jackets and lanolin. Cherries and strawberry yoghurt. Cranberry sauce and pebbles washed by a tide. Ethereal stuff – not aggressive or especially intense, but communicates itself well. Not wildly complex, all things considered. In the mouth: The oily notes that this distillery does so well are only in half-song here. Earthiness and engine. Less of the red fruit, though a touch of Morello cherry and strawberries knocks about. Smoke is the most lingering aspect though – more wet wool and maritime tang. It’s alright, but some way from the best Longrow Red ever. After that preamble there’ll doubtless be folk who reckon I’ve marked low to make a point. All I can say in response is that it’s not a patch on last year’s, nor on the Pinot Noir finish from the year before. Maybe that’s the Cab Franc casks – who knows? I don’t suppose it’ll make any difference to the secondary market. As you must have realised by now though, the quality of this year’s Longrow Red isn’t really the point of this article. What this article is, is a plea to you. Demand more information on how your whisky is made, and what your whisky is made of. Ask questions. Ask more questions when the answers you’re fed aren’t up to snuff. Fundamentally, care about ingredients as well as about processes. The anthology of whisky-selling stories is vast and ever-growing. There’s enough for a library – for a civilization’s mythology. We have Vikings and dragons and smugglers and moonshiners; gaugers, pioneers, barons, visionaries – there’s always a visionary – picts and celts, boatmen and water demons, white horses, black beasts and sweet shops, and they’re lovely stories, but not one of them tumbles out of the bottle and into your glass. The story that does is a story of barley. Of beginnings in a sodden, dung-smeared furrow on a rain-drenched Atlantic rock. And of the unlocking, developing, augmenting and ameliorating of flavours over days, months, years, decades, through mill and mashtun, washback and still, water and yeast and oak. It is about time that makers of whisky told us the full story. Not just the dust-jacket blurb. After all, if wine was as sparse in its details, “red” would be all you’d see on those bottles too. Thanks to my colleague Martin, who is lightning-fast on the “buy now” trigger and kindly swapped me a sample. Image pilfered from our friends at Abbey Whisky. Nice article. The port was fully matured in the port cask (and arguably the best one), the rest are finished (I think…?). This is a great piece which puts words to the frustration I regularly feel about whisky production and presentation. I often wonder what they, as producers, consider important and how much provenance they actually have available or recorded sometimes. In today’s ever more informed market they seem to grapple with the concept of transparency, like it’ll somehow reveal ‘secrets’. Yet all the while they remain exposed. A nation or producer is going to come along sooner or later and balance the message between geeky details and honest marketing perfectly. Is it really that difficult? Thanks for reading! It’s certainly reasonable to think that more could be talked about than is currently communicated. Optimistically – perhaps naively – I think there’s a point in the future when transparency will be not only laudable, but necessary. But it’s going to take an awful long time – and doubtless a setback or two for larger companies – before we get there. What I like about Malt is that the writers are prepared to give an idea space: clear out the dead wood (pun definitely intended) and allow a seldom-studied sapling some light. The benefit of doing this is that the holistic (steady now) nature of whisky can be revealed. It also takes time to write, which is appreciated. 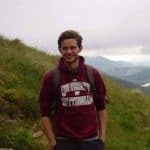 Adam, your piece, as it expands, ties in directly with the issues Justine has discussed in her articles about Jane Walker, and of course Mark’s regular polemics on soil. Both you and Justine are frustrated by an industry that, in the shape of its collective marketing department, is so many steps behind the needs of their customers. Trend-hopping, facile USPs, a crisis of genuine innovation amongst the big companies. If Scotch whisky cannot successfully and sensitively market itself to half of the drinking population, they are not going to be able to handle the demands you outline above. Whisky and wine comparisons make me slightly uneasy for many reasons, but I do think whisky can take a lot from what wine says about itself and the kind of discussions it enters into. Above all, though, wine initiates and welcomes conversations, the kind of conversations whisky festivals (in the scenario you outline) are not built to cater for, and current marketing strategies don’t want to go near. The transparency you celebrate in wine is borne out of a culture, marketing so ingrained it almost doesn’t appear to be so. Some whisky makers are trying to speak that language but it will take time. Also, I tasted a Longrow Red a couple of months back and let’s just say the entirety of your introduction doesn’t apply to me. Thanks for reading, and for taking the time to post such considered feedback. The conversations are so important. I know some of our pieces can come across as sledging for the sake of it, but it’s all born out of wanting to know more, and wanting fellow consumers to be shown more by the industry. Websites and back labels carry so few facts, and often seem to be encouraging auras of mystique, rather than digging down into what makes their whisky genuinely unique. Hopefully the dialogue will come. Encouraging signs from a lot of startups, both in and out of Scotland. And I’m certainly not accusing all the bigger-name players of creating deliberate shrouds. Ha. Yes, the ‘you’ in the opening para was more than mildly generalising. We’re never above a cheap laugh on Malt. And why would “you” buy it? Because, as you say yourself, it’s not a great whisky. “You” buy it to collect, because Longrow/Springbank succed making “you” captive by putting on the market each year something new that belongs to a serie. This is ridiculous and what I hate in whisky : the collection. I am relatively new into the malt world, and coming from wine (which can be snobbish when the whisky world seems frenetically immature, smaller and … even more snobbish), I don’t need collecting anything- come on whisky is an industrial product! belonging to 4-5 giants who make billions each year spending more money on marketing than juice and playing with you like a cat with a mouse- and do we really need “red wine whisky” ?? ?, I want malt. The (snobbish) obession of whisky with red wine (and big names!) is ridiculous, too. Let me add something, I found your review excellent, informative and intelligent. But first wine is NOT an industry (at least in Europe) and secondly you won’t make change the whisky industrie, some distilleries sell 10 millions of liter each year, they could’nt care less about relation with the consumers. The corporations will change you (as they already did with NAS and it’s far from over, they will change the product and they will find new consumers, you guys are captive and I don’t know if you noticed the irony of your whole post : “red” is sold out despite its averageness because consumers are fully captive and only think $ (and not quality) whereas in the same time you ask these buyers to ask more from the industry, more transpareny, more quality, more respect, more… product. I hope you see how impossible it is and even contrary and that your fight is already lost. The real fight is to save wine, for whisky it’s been dead decades ago. Good review and good blog, I like it a lot. What a refeshing and pointed review. Thanks!